Every March in Border to Border, participants ski more than 440 kilometres (273 miles) across northern Finland in an annual, multiday journey open to all. 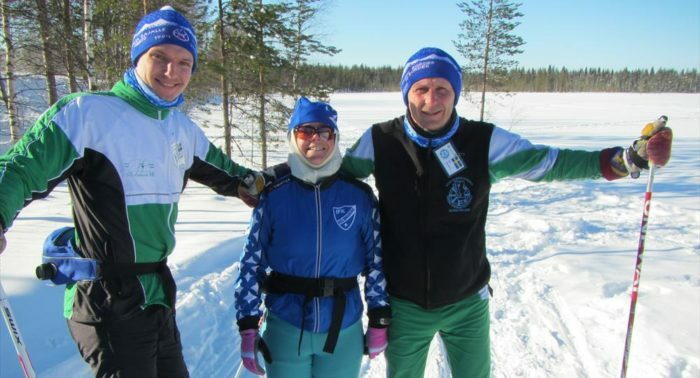 A Finnish finish line: Josefin Palmén, a Swedish endurance athlete who also has type one diabetes, flew over from Sweden to participate in the Border to Border event. 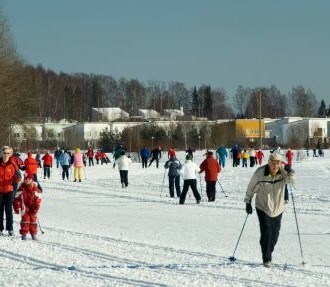 This is literally cross-country skiing: The skiers start at the Russian frontier and end at the Swedish border. 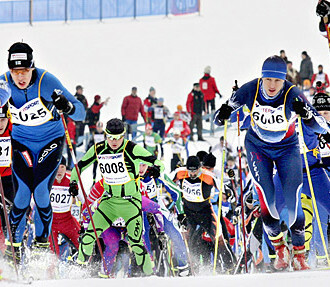 The idea of traversing the entire distance attracts skiers, both experienced and inexperienced, from all over the world. 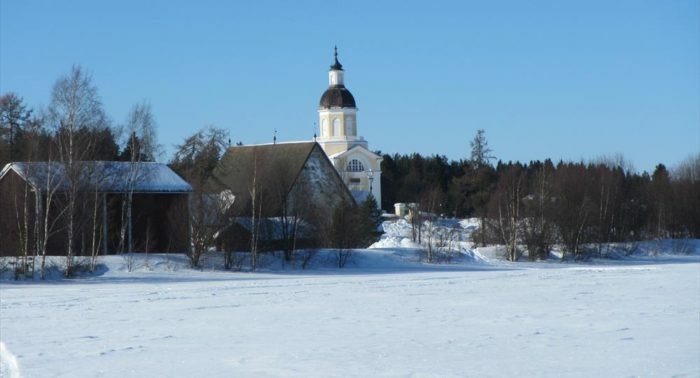 They begin their trip at the Russian border northeast of the town of Kuusamo, and continue until they reach Tornio, just across the river from Haparanda, Sweden. Breath-taking landscapes, Northern Lights, snow-covered trees and boundless nature form some of the attractions along the way during the seven-day trip. The historical course also contains some 40 kilometres (25 miles) along a route made by the Germans during World War II. In 2013, Border to Border celebrated its 30th anniversary with more than 300 participants from 16 different countries – including one who came all the way from Brazil. 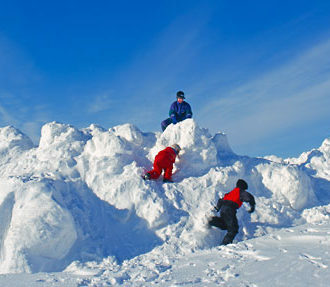 For three of the skiers, it was their first time skiing on snow. 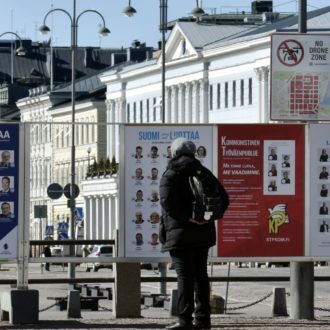 Border to Border organiser Anitta Jaakola can recount many theories on this subject. 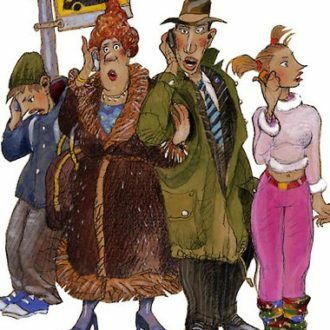 Some years ago, for example, a Dutch skier cooked up a story about the snowmobile driver who maintains the ski tracks every morning, saying that he had been a tad careless when measuring the distance. Josefin Palmén, a Swedish endurance athlete who also has type one diabetes, skied Border to Border in 2013 and notes that “the locals were very sweet and helpful.” On the longest day, a snowmobiler helped light her way through the darkness. Volunteers maintain 39 support stations along the route, sometimes for the whole day in temperatures as low as minus 41 degrees Celsius (minus 42 Fahrenheit), offering encouragement and serving warm juice, snacks and soup. At night they help set up saunas, and in some locations they prepare dinner for groups of hungry skiers, sometimes more than 100 at a time. Two nights of the race are spent sleeping in local schools, an experience that allows participants to peek into the area’s way of life. A frequent worry of participants is getting lost or being left alone. Volunteers on snowmobiles support any stragglers, and also come to the rescue if anyone gets lost. 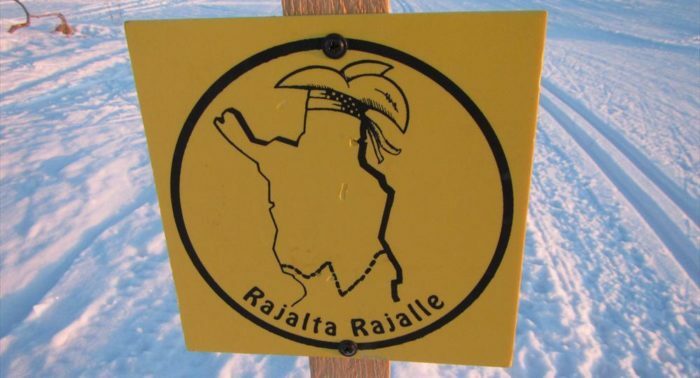 While skiing 440 kilometres across northern Finland could seem daunting, Border to Border is not a race. The distance is so long that measuring it officially would pose a challenge, and the origins of the event are filled with team spirit rather than competitive attitude. It’s not a high-pressure event. Skiers may do less than the full distance each day if they choose and bus pick-up is available at the halfway point. People sign up for different reasons. Palmén was asked by a member of her club to join him, and that was the first she heard of the event. For many enthusiastic cross-country skiers, Border to Border forms a lifelong goal. Skiing the full distance is a challenge even for advanced skiers, but the camaraderie between participants and the excitement surrounding the event provides an extra push. One participant trained on rollerblades in Spain, and only skied on snow once before the start of the event. He joined in because the views and adventure seemed so amazing. Some people show up for the novelty of literally skiing across a whole country.